I've been dreaming of this pie for months. 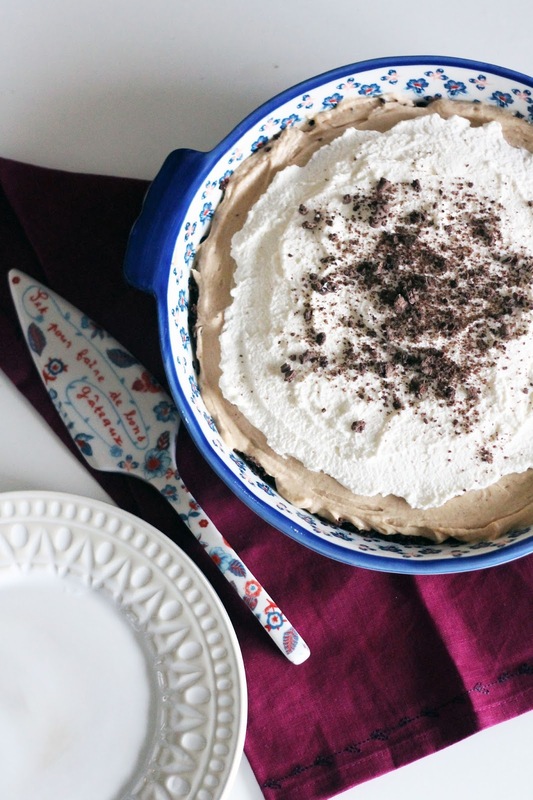 I stumbled across a peanut butter pie recipe this summer in Charleston, but due to our small kitchen and the extreme heat baking was out of the question. I spent the remainder of this summer imaging the texture and taste this pie would have. 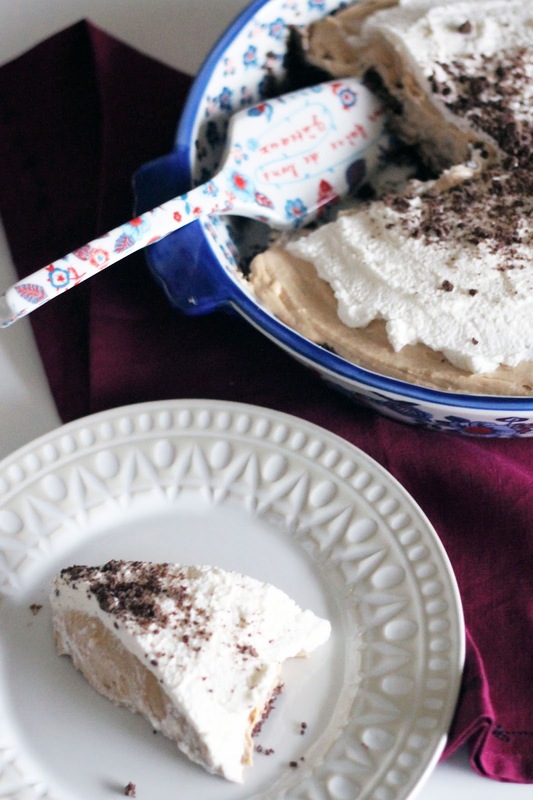 Mostly because until last week, I had never tasted peanut butter pie. This recipe did not let me down. The peanut flavor is rich and the filling is perfectly fluffy and sweet. 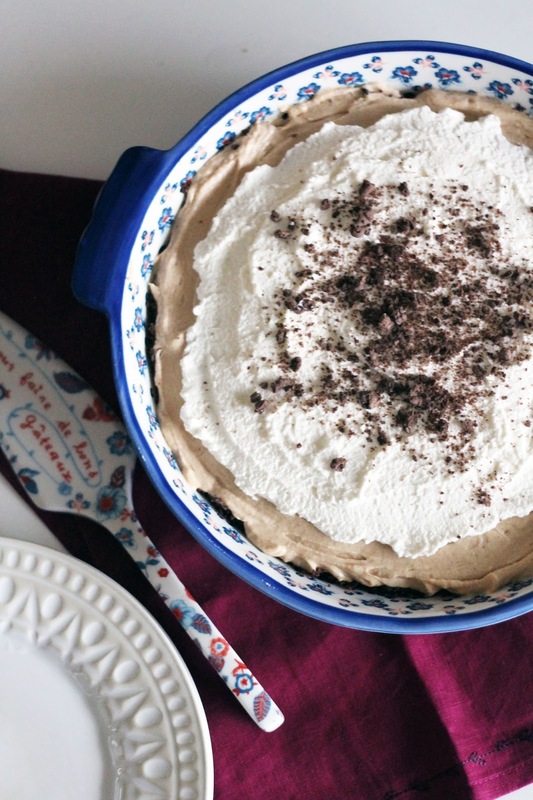 If you love peanut butter this may become your new favorite dessert. Preheat oven to 350 degrees. Place cookie crumbs in a food processor and pulse until finely crumbled. Pulse in melted butter and salt until combined. Mixture will not come together but should be moist. Pour into a pie pan and press mixture into pie pan using your fingers. Bake for 10 minutes until crust has browned. Set aside and allow to cool. Beat 1 1/2 cups heavy cream until hard peaks form. Set aside. In an electric mixer with paddle attached beat cream cheese until light and fluffy. Add brown sugar, vanilla extract, salt, and peanut butter. Beat until mixture is smooth. Gently fold in whipping cream, a quarter at a time. Pour pie filling into cooled pie crust. Beat remaining heavy cream while slowly adding powdered sugar until soft peaks. 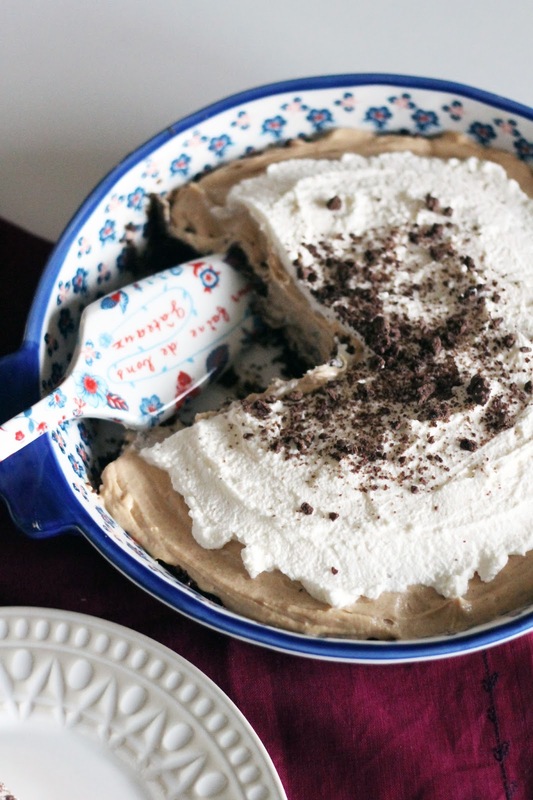 Spoon whipped cream over pie filling and garnish with chocolate cookies. Chill for at least 5 hours before serving.